Hi, I'm Max. Thanks for looking me up! 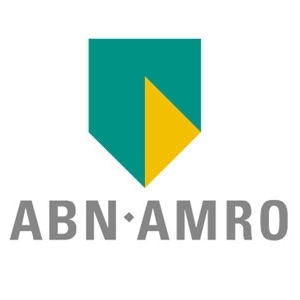 I'm a software engineer at ABN AMRO building software used anytime you pay with a debit card. Writing software is deeply fascinating to me. The robotics club at GMU was where I found my passion for computer science and programming. It highlighted the importance of algorithm choices when designing systems, and the need for quality software. The best part of working as a software engineer is the people. I enjoy meeting others, learning from them, and helping each other. I've listed my work experience, education, and projects below. Send me an email so we can chat! Building software to power the banks retail transaction systems. Creating a modern system to issue and manage debit cards for clients of the bank. This includes a solution used for mobile payments via NFC on Android phones, as well as physical cards used for every day payments. Working with stakeholders and multiple development teams to ensure successful development of the application which manages all of this. Implementing best practices such as CI/CD and pair-programming. Contributing to Neo4j, an open source, ACID-compliant, graph database management system. Working primarily on the kernel and on building a fault-tolerant distributed system to allow for robust clustering. Collaborating with Neo Technology to research and develop a high-performance path index data structure and integrating it with Neo4j, the world’s leading graph database. Consultant work for clients including developing an e-commerce website, a mobile SharePoint application, migrating client data between systems, and general SharePoint development. Developed a ML system for humanoid robots to rapidly train them to play soccer. This work was done under the Research Experience for Undergraduates program by the National Science Foundation. Advised students during practical sessions and presented to intro programming courses. An ongoing project to store data in the form of graph paths. Starting out as a thesis project for performing path indexing, PathDB continues with more features allowing the index to potentially be used as a primary data store. A messaging app built to learn Android development. Users were only able to send one single message to their friends, but the app features accounts, friends list, message processing, and push notifications. The backend was a single server running a java application.